One very unique thing about me is this; I’m very good at writing stuffs that happen to me. I’m not really a fiction writer and when ever I get the chance to write MY book, I’m pretty sure it’s going to be a great combination of FICTION AND NON-FICTION. Enough of the talk on fiction and non-fiction. Lemme tell you all what happened to me today. You see right now I see my self as a 42 years old lady, even though I’m actually half that number in age – trust me I’m not the same person I was I was four months ago. My growth game is epic. Meaning, I’m beginning to take notice of every single thing I ignored in the past. This Terrific Tuesday morning, I got up by 6:00am and before 9:00am, I was on my way to the school radio station where I volunteer. Being me is a bit complicated. Haha! Couldn’t stay there for long so by 10:00am I was ready for the library. She was so sincere. She couldn’t stop looking at me. How could I possibly look cute with my MOTHER HEN FRAMES and flying hair??? But the tiny doze of compliment from that little girl meant and still means the whole world to me. Which brings me to this, compliments are so nice. IT CAN LITERALLY PLASTER A SMILE ON ANYONE’S FACE. I was speechless at that moment. And I went to bed thinking about my set of teeth…mind you I have a tiny crack in one of my front teeth. 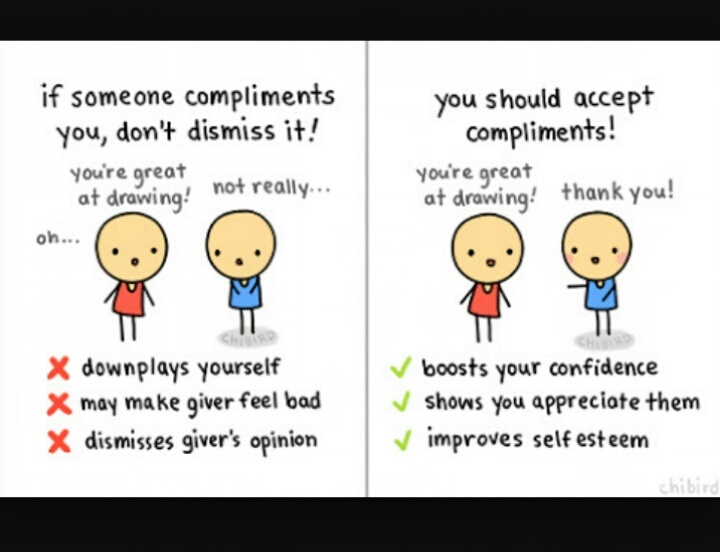 If someone genuinely compliments you, DO NOT DENY IT. ACCEPT IT. So many people are dying to get a doze of it. 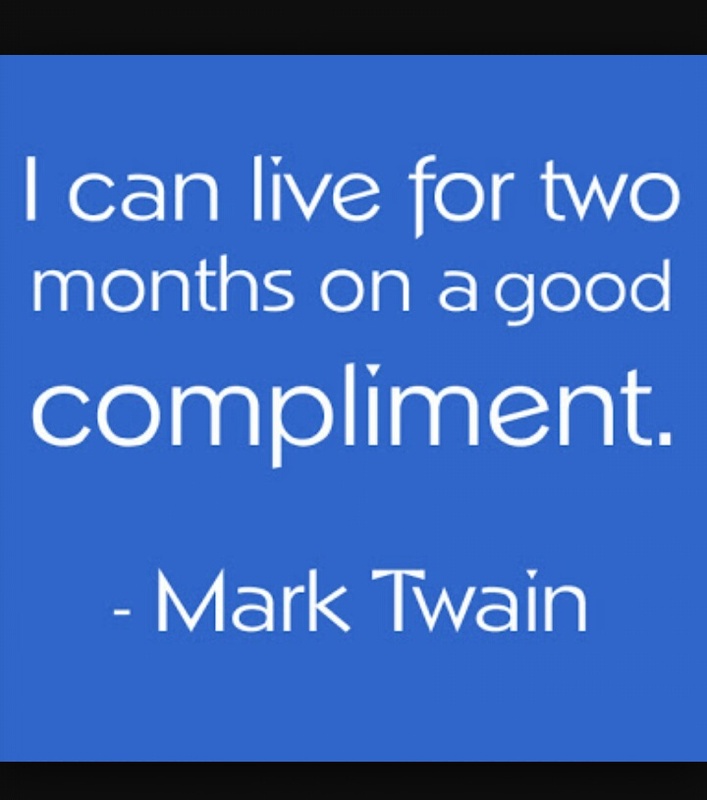 A compliment is a verbal sunshine. Compliment people, magnify their strengths not their weakness. Learn to see the good in people. Tell someone you love their hair, the way they talk, the colour of their eyes, the way they laugh, how happy they make you. Tell someone they’ve got the best smile and MEAN IT!!! I’m not vain OK, just stating the obvious. Hahaha!!! After I wrote this, I read a recent interview of Kerry Washington and she said something about compliment. So I decided to edit and add what she said on compliment.